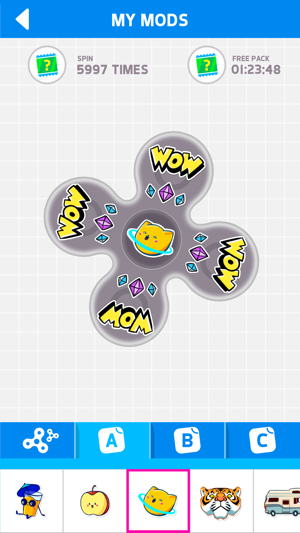 Most relaxing spinner is here! 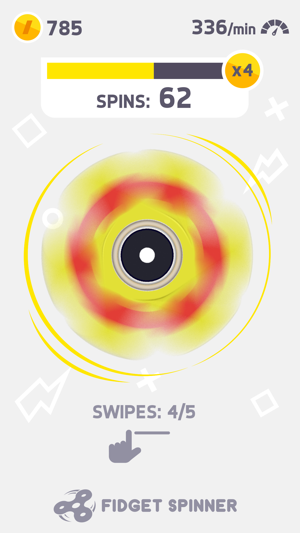 You have 5 swipes to set the best spin you can with your finger. Wait for it to stop and sweep the sweet rewards! 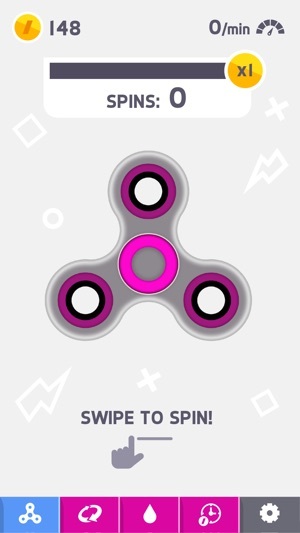 Upgrade the fidget spinner, compete with your friends and beat the records! 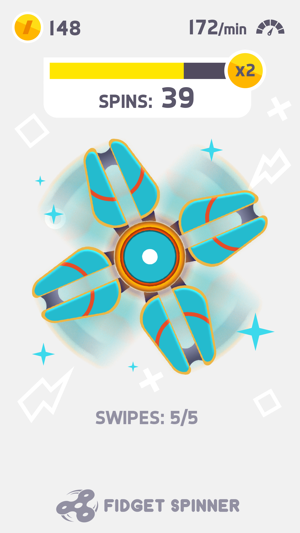 Each spin brings you closer to unlocking a new fidget spinner. Can you unlock them all? First of all, I would like to thank the developers for creating this app. I have well over 1200 hours on this app, and I intend on adding many, many more to that total. I got interested in this app last month when I fell into a coma after stubbing my pink toe on the doorframe. I got very bored during my coma, so I downloaded this app to pass the time, and I must say, I couldn’t be happier to have fallen into a coma I may never wake up from. Every step of human evolution, every generation, every second of existence, has been leading up to the creation of this app. This is the pinnacle of human evolution, both mental and physical, and I do believe technological advancement has reached its peak with app. There is literally no possible way imaginable by the human mind to get any better than this. I am so proud to own this app, and I would be even prouder to have had a helping hand in creating it. 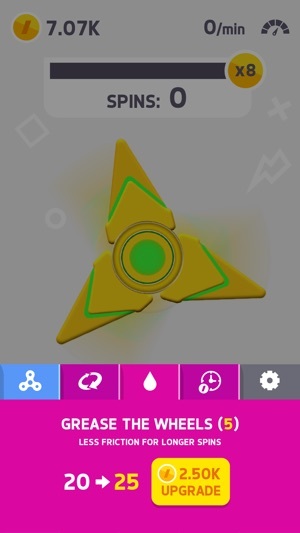 Thank you Ketchapp, very cool! I really really like this app, not only is it a great way to kill time, but it's super entertaining and fun for something so simple. Instead of only showing the one single goal to achieve a new item after finishing your 5 spins (on the "COLLECT" screen in the dotted circle to the left), players should be able to click somewhere and see a list of 5-10 goals and each one rewards you an item, coins or even an upgrade upon completion. Some of these goals being more difficult than others and each time you complete one, a new one shows up on the list. This would give players the option to work towards these goals as they play, if they want to. This would add a bit more depth, without ruining the important simplicity of the game. I like to play this is my spare time, and do enjoy it. I’ve played this for several months on and off, but I finally decided to grind and play it every spare moment to try to get the high score. The global high score right now is 1,000,000,000 I believe, and I just beat that this afternoon with mine. But yet, it’s not showing up. It’s like the leader board isn’t updating or something. I don’t understand it, or maybe it’s a glitch or whatever. It’s still saying I’m #1000 instead of #1.